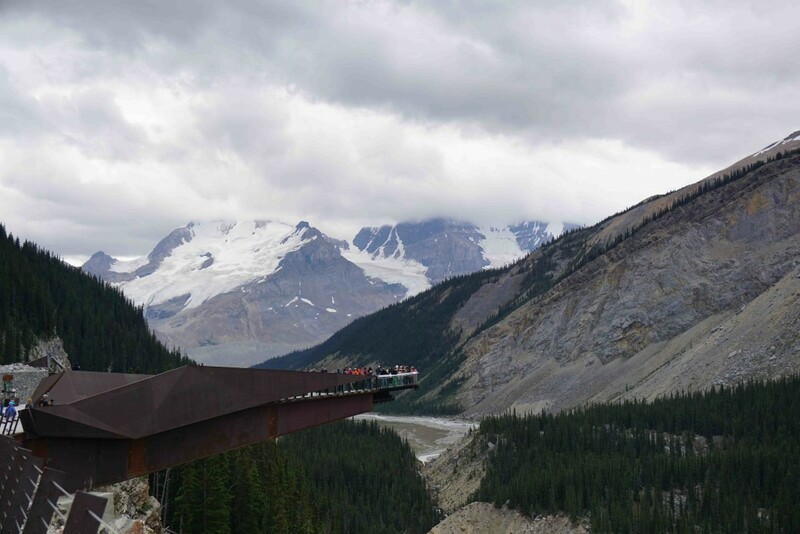 Once we arrived at the Columbia Icefield Discovery Centre, which is located right between Banff and Jasper, we lined up straight away to get our boarding pass to the Glacier Skywalk and Glacier Adventure. 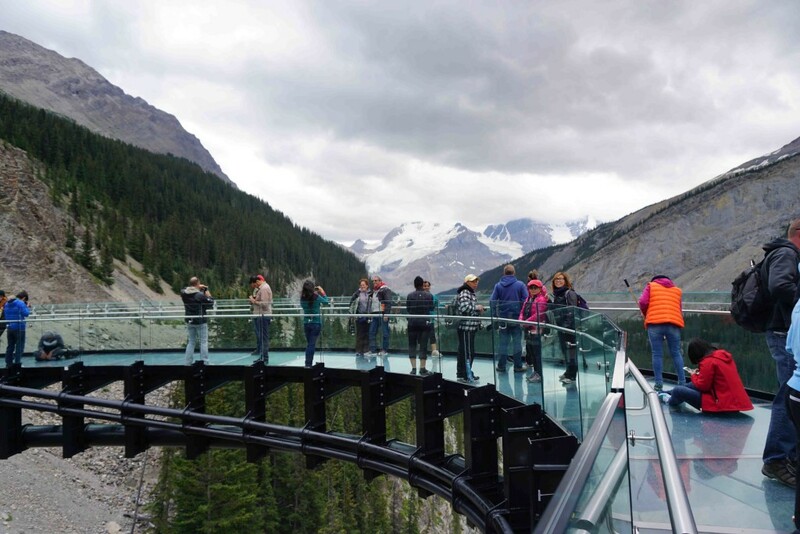 Since the Glacier Adventure was pretty packed, we started off the day with the Skywalk. A tour bus was waiting for us and after driving several minutes up the highway, on the edge of the road was the transparent walkway. Upon arrival, the people there handed us an audio guide which provided us information about glaciers and the built of the Skywalk during our short walk towards the glass pathway. Stepping on to the Skywalk wasn’t as excited as I thought it would be since the glass was very blurry due to the scratches caused by repeated tourists treading over it on a daily basis. Also, the crowd of tourists there didn’t help much. Nonetheless, we did get a great view of the Glacier though! Our driver from the tour bus told us on our way here that we can try jumping on the bridge so we can observe the tension cables vibrate… so obviously I needed to try it out! Maybe I was too light considering that the Skywalk was built to support a whole airplane, so as expected, jumping caused no movement. Instead, it led to some weird stares from nearby tourists…that’s about it! 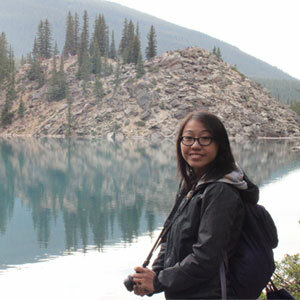 Maybe I’m more fascinated by the nature side of the rockies (to get here, we were taking the scenic drive from Banff to Jasper and it was simply breathtaking! ), I did find that there was too much human involvement with the structure which kind of took away from the beauty of the glacier itself. 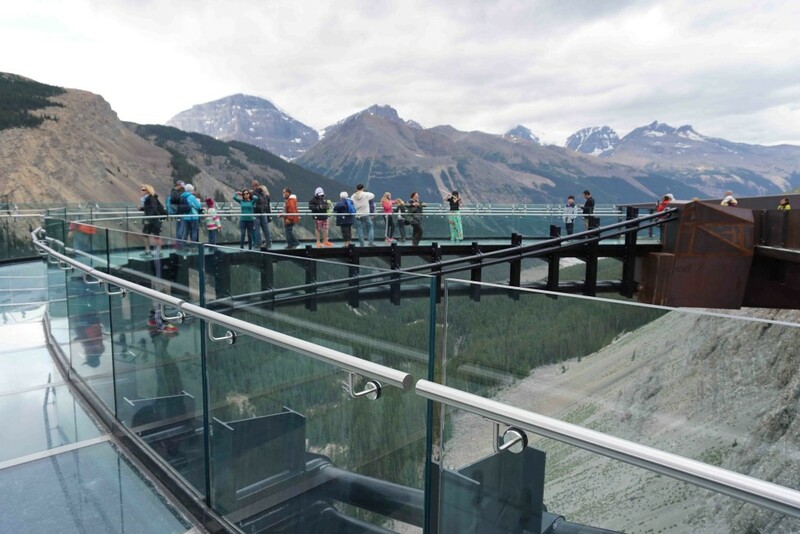 However, if you’ve never been, I do suggest giving it a try, I mean, walking on a transparent pathway which extends out from the edge of a mountain is still pretty amazing structurally! As a mechanical engineer, I really enjoyed learning about the design of the Skywalk! 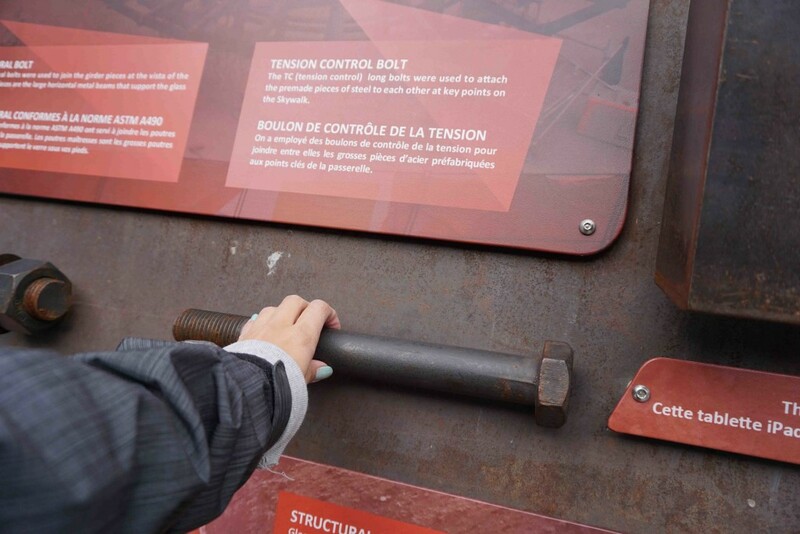 Look at how huge the tension control bolt is!! !